This proposal intends to remove the multihome requirement necessary to receive PI IPv6 address space in the policy ripe-512, “IPv6 Address Allocation and Assignment Policy”. There are enough End Users (businesses) that have a valid reason for their own address space, without the desire to become a LIR or multihoming. I wrote about why this is vital http://etherealmind.com/importance-provider-independent-ipv6-addresses/. Common sense prevails. Interesting take, could be a viable reason. 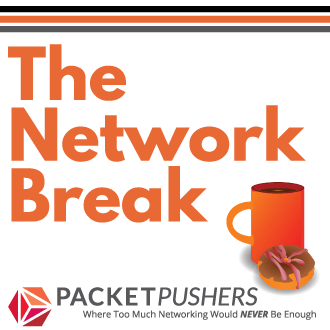 Instead of describing RED as a feature to control congestion in the network, we described it as a feature which would deliberately drop your packets. I attribute this to the same attitude which made ASIC designers want to hold onto the packets which had already been stored in the buffers. We made RED sound like a dangerous thing, which you should only use if you know exactly what you're doing and also have some very special network with obscure requirements. As PlayBook Launches, Cisco’s Cius Slowly Emerges CIO.com – Pretty sure that the Cius needs to die as well. If it's all about the video, it's won't be successful either. Cisco is aiming the product at business collaboration, with the ability to interoperate with the company's TelePresence videoconferencing system, the Cisco Quad and Cisco Show social-networking platforms, and the company's WebEx online meeting system. The Cius, which is based on the Android 2.2 operating system, is also designed to run business applications. APNIC – IPv4 “Final Stage” Begins Today – As predicted, APNIC has started rationing it's final /8. Remember, APNIC has more demand for IP addresses than any other region. 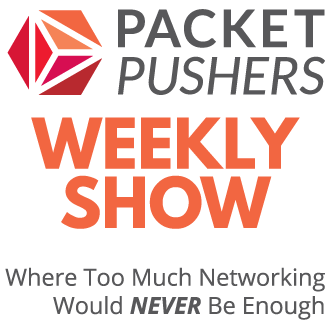 As always, we prepared a few questions in advance, including “How are broadcasts, multicasts and unknown unicasts handled in vCDNI-based private networks?” and “what happens when a single VM goes crazy?” For one reason or another, the podcast never happened. After analyzing Wireshark traces of vCDNI traffic, I probably know why that’s the case.